I cast on for this last weekend. It was a really quick knit! 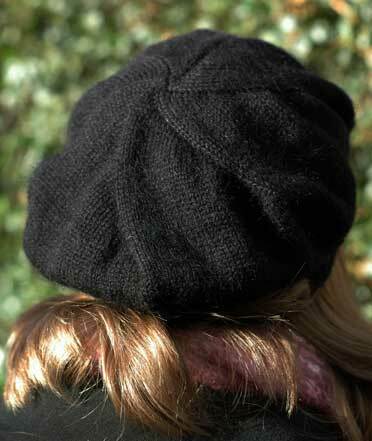 Yarn: Austermann Inca Colour in black. I have also been working on Backyard Leaves from ‘Scarf Style’. I am using Debbie Bliss Cashmerino Chunky and it is just delicious. Look at those leaves pop! This has been getting a lot of attention. I had a very bad day yesterday. I couldn’t get my printer to work (long story involving stress and making the post), I fell right down the stairs and promptly fainted, broke a photocopier, scalded myself with tea and broke my hair brush. After all of that, I felt reasonably entitled to some squishy knitting where I could rest my backside and its forty shades of purple! It’s always a good time for hats! The big green thing is done! Words cannot express how glad I am about this… but knitting can. The yarn is Austermann Inka, 80% alpaca, 20% pure wool, and is squishy and soft. 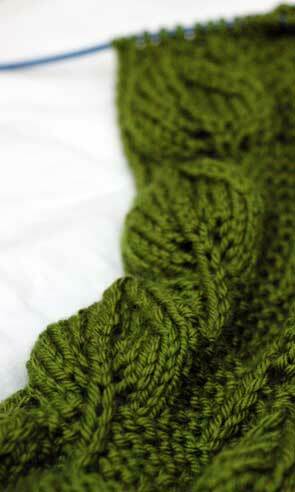 It is knitting up into a really nice, firm fabric on 3mm needles. This is my first attempt at a proper beret. I have knitted at least four ‘tams’. There is very little in the difference, only a tam has a brim like a regular hat. Tams don’t look very good on me. I tend to look like a mushroom. 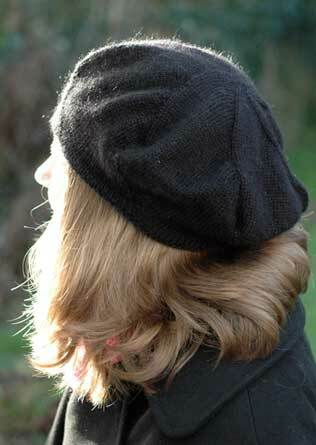 Berets are a higher species of hat altogether. 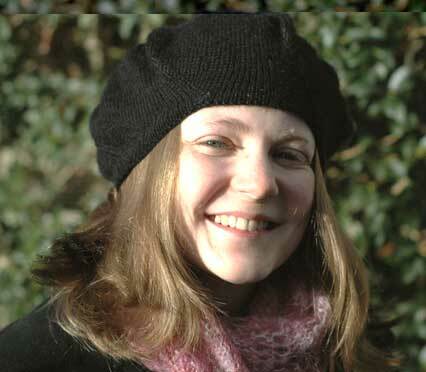 I have never seen a person that didn’t look good in a beret (and that’s really saying something). 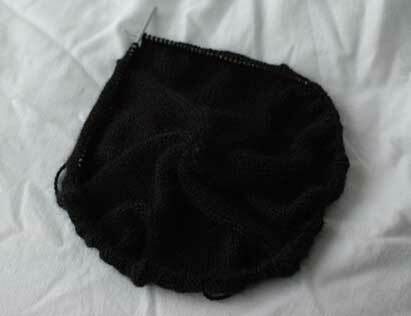 I’m going to see how it turns out, and if it still looks like a beret at the end, I’ll put up the pattern for it. Everybody needs a good beret. 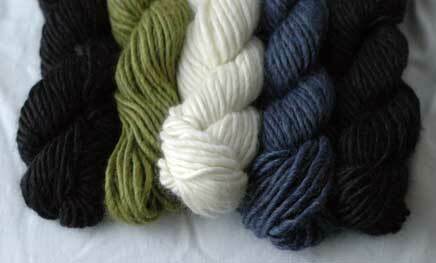 It’s Mirasol Sulka, 60% merino, 20% alpaca and 20% silk. I had been thinking about a new hat during the week and had something like this in mind… until I saw that stuff, that is. This is going to be the softest, most luscious colourwork hat you have ever seen. I can’t wait! I love teaching the sweater design classes at This is Knit. However, I often feel like I am racing to provide as much information as I possibly can and I think it can be a lot to take in all at once. So I’ve decided to run a course of evening classes in sweater knitting and sweater design in Blackrock on Tuesday evenings from February 12th to March 11th. There is a room upstairs from This is Knit that has become available for craft classes so I thought I’d jump in and give it a go! * The first will help you through a sweater pattern and show you how to modify it to fit your own unique shape. If you have never knit a sweater before and would like some help taking the plunge then this is the class for you! 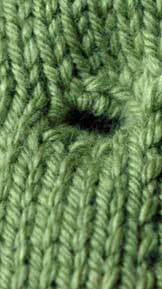 Similarly, if you are fed up with your sweaters never quite fitting properly, there are lots of helpful tips to help. * The second will walk you through designing your own sweater – bottom up, top down, raglan, set in sleeve, round yoke, you choose! The idea for both classes is that you start a fresh project, work through it section by section each week, and hopefully have a perfect sweater by the end of it! * The classes are intended to run as a course and will run from February 12th to March 11th (Tuesday evenings). I’m sorry, but this does mean no individual classes. * Each course is €75, ie €15 per class. * The first class will run from 6:30pm – 8pm and the second class will run from 8pm – 9:30pm. * A deposit of €20 is required to secure your place on a course as places are limited! The balance is due on the first day. If there isn’t enough interest to make running the classes worth while, I will refund your deposit. * You can book your place by either leaving a comment here on the blog, by emailing me directly, or by booking through This is Knit. Lisa and Jacqui have been very kind and offered to take bookings for me. If it is more convenient for you to call into the shop in Blackrock, you can book there and pay your deposit to them. The classes are all about you getting the most from your sweater knitting and having a good time as well! That’s what I have been doing and all I have to show, I’m afraid. Buttonholes. The fabric is all lumpy-bumpy at the moment because there’s actually a hem folded underneath what you see and it needs to be ironed out. It has been a funny sort of week. We have been getting extra insulation put in. There are many different ways to add extra insulation to a house. I think having a large stash is helpful… but the builder seems to think that tacking big boards of insulation to the wall is better. He is probably right (and I’m quietening my inner voice that says, What does he know? He’s not a knitter!). So between him, the plasterer and my dad, who has been helping and doing handy things such as taking down drapes and getting groceries, the general atmosphere has been one of men-at-work. I am not at work today but I have a to-do list as long as a sleeve. One person to ring. One bank to go to. One garment to finish. One room to clean up after plastering. Two beds to change. Three things to post, one of which isn’t finished, another I have yet to buy and the last being a Christmas New Year’s present. And a partridge in a pear tree.